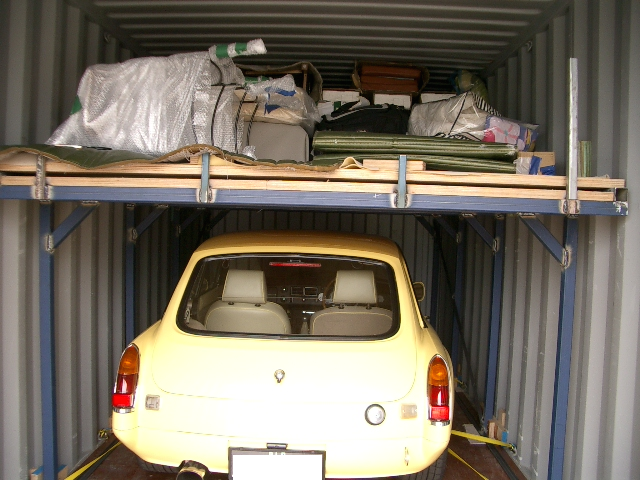 The client had a car which they wanted to export. They also had some household goods that they wanted to be included. As the car is small there was a lot of room up on top. So I was instructed to make a self supporting structure to hold the chattels. I had to ensure that the rocking motion of the seas did not move the entire contents. 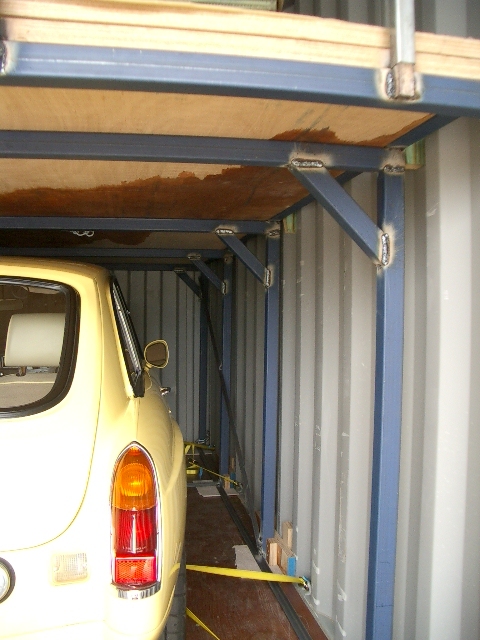 A steel frame was made out of RHS and was braced with 20mm ply as a platform and struts. 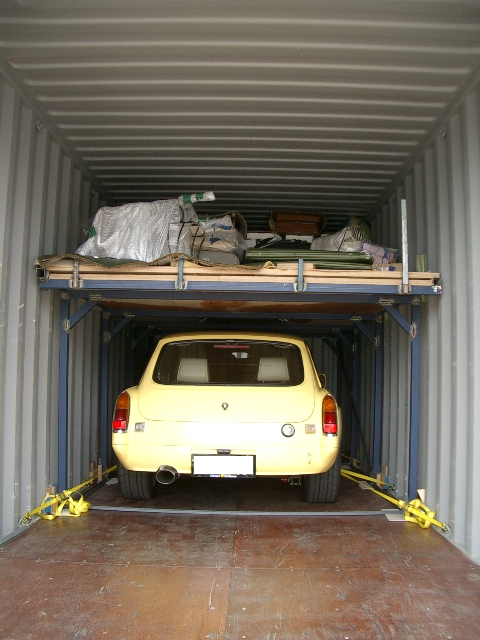 The car was strapped into position and the contents on top tied down and blocked by a head board. The client being a car enthusiast would have killed me if anything had happened to his car like the structure failing or a scratch to the car. I was confident that my work was solid, good that is, but I was also relieaved when I heard that it arrived to its destination un marked. Below are the photos of the work.